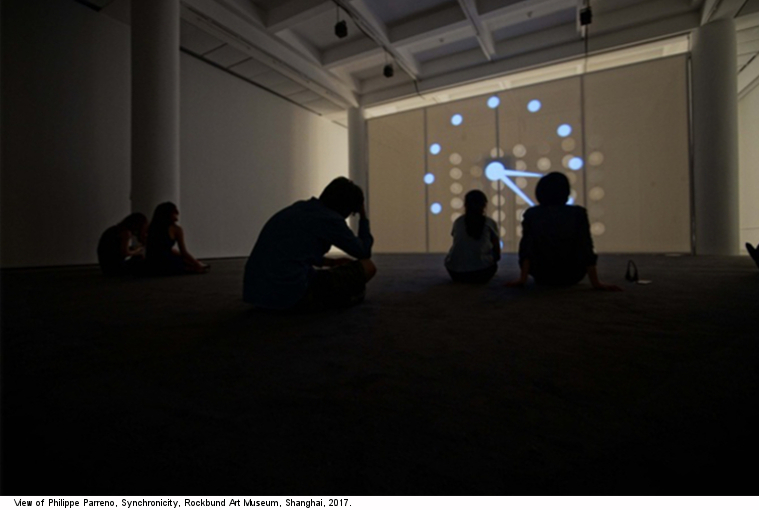 The Rockbund Art Museum is honoured to present a major solo exhibition by French artist, Philippe Parreno, his first in China. This exhibition is dedicated to the late Xavier Douroux whose influence on Parreno’s career cannot be overstated. 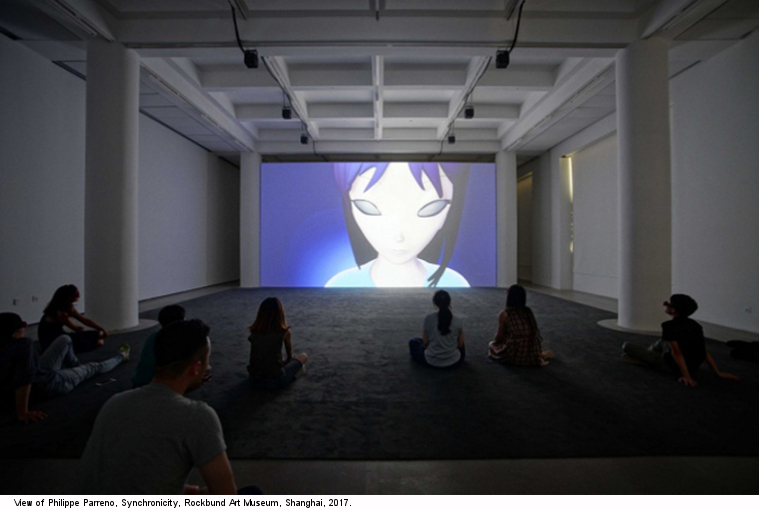 Curated by the Director of the museum, Larys Frogier, Parreno’s first exhibition in China occupies four of the museum’s six floors, also extending to its seventh floor glass rooftop. Over the past 20 years, Parreno has radically redefined the exhibition going experience by exploring its possibilities as a medium in its own right. 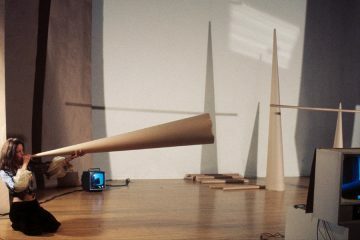 Realised in dialogue with the physicality and functionality of the museum’s architecture, the exhibition will alter the building’s current existence through an unexpected use of time, space, light, and sound to become a semi-automated puppet, a perpetual motion of events in which Parreno subverts the conventions of the gallery space. By manipulating light, shadow, and duration, Parreno guides visitors through a constantly evolving space. 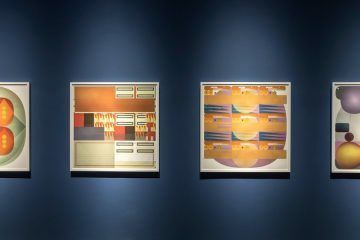 The artist covers various windows of the renovated Art Deco building with blinds that act as eyelids to the building, opening and closing in different locations, and to variable time sequences—each gallery space shifts from darkness to twilight, and then to full light. Some blinds are activated using motors, but for the very first time the artist works with “dalang” performers to operate the remainder. A “dalang” refers to the puppeteer in an Indonesian Wayang performance; traditionally controlling the white screen and lighting that together create the shadow puppets that make up the performance. On the museum’s glass rooftop, Parreno installed a heliostat that directs sunlight into the fourth floor space in a carefully choreographed ensemble of natural light that dances in sync with the movement of the blinds. A vertical plane in line with the building’s own axis, cuts through the spaces of the exhibition, each floor becoming a template of the other. The plane is visible on the first floor lobby next to a rotating secret bookcase door, on the second floor alongside a large-scale screen playing a new rendition of Parreno’s 2000 film Anywhere Out Of the World. 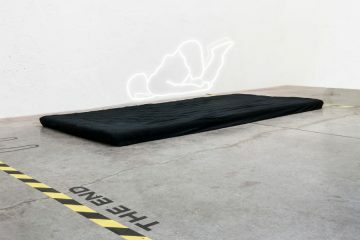 On the third floor, next to a wall displaying a new series of Parreno’s Fade to Black fluorescent silkscreened posters. 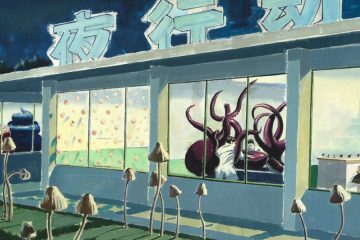 For the new rendition of Parreno’s animated film Anywhere Out Of the World, the 2D manga heroine who featured in the opening series of the artist’s 1999 collaborative project, No Ghost Just A Shell, re-appears in stereoscopic 3D, with new narration. An illuminated glass marquee placed at the third floor of the exhibition plays a tune that resonates throughout the entire building. 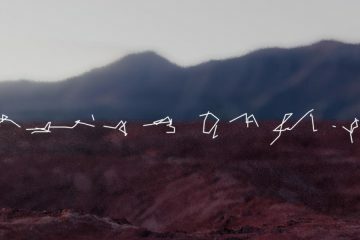 From the appearance of a film to the disappearance of an image, to a song sung by the dalangs: Parreno choreographed the Rockbund Art Museum.